Captain for life, at least that is the title of his biography, John Harkes is an American soccer legend. When I think of a legend, I think of a player that did something first, a player that was transformative in his time and a player that broke a lot of preconceived notions along the way. Harkes was just that player. A son of Scottish immigrants, Harkes was a first generation American. As a Kearny, New Jersey native, Harkes had the luxury of growing up in a footballing paradise. Harkes excelled through the youth ranks and ended up at the University Virginia, under current LA Galaxy head coach, Bruce Arena, where he won the Hermann Trophy, which designates the best college player in the country. Upon graduation Harkes began his career in Albany, NY but transferred after a season to Sheffield Wednesday in the English Football League. They say all players have a marquee moment. Well, here it is. It was this thunderbolt that earned Harkes, the league’s goal of the year. Beyond that, Harkes became the first American player to play in the Premier League when Sheffield Wednesday gained promotion. He also became the first American to score in a cup final, when Wednesday lost to Arsenal 2-1 in the League Cup Final. Harkes would play another season in the Premier League with Derby County and West Ham United. During that season, the MLS announced that it was to have its inaugural season in 1996 and Harkes signed with DC United later that year. Harkes played with DC United, the New England Revolution and the Columbus Crew during his time in the MLS. He also had a stellar international career. He was part of the 1990 and 1994 World Cup squads but was famously cut from the 1998 team just weeks before the World Cup was to begin. The head coach at the time, Steve Sampson, cited “leadership issues” as the reason Harkes was removed from the squad. In his book, “Captain for Life,” Harkes criticized Sampson for lacking “credibility to a group of guys who had hundreds and hundreds of caps among them” and “putting a huge amount of pressure on young, internationally inexperienced players”, and concluded, “I can’t think of one thing that Steve did right in the months leading up to the World Cup.” The USMNT lost all three games during that World Cup and ended up finishing last overall in the tournament. 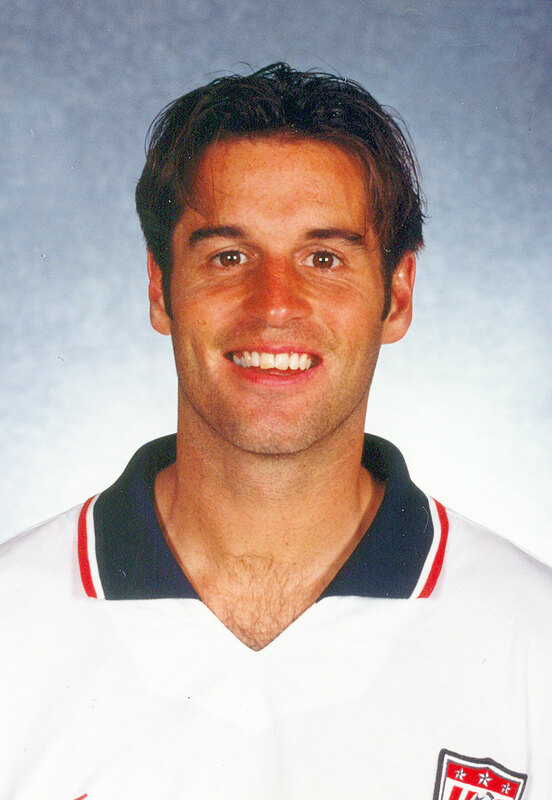 Harkes would be called up again to the national team in 1999 by his former college coach, Bruce Arena and would finish his career with 90 CAPS. Harkes has been a youth director, a color commentator, and an assistant coach since his time playing. In 2005, he was inducted into the US Soccer Hall of Fame. He is one of the of the most accomplished American players ever and one that broke many borders for future American players. Player’s that are able to push the limits of what those have done before are true leaders and inspiration for all those to follow. 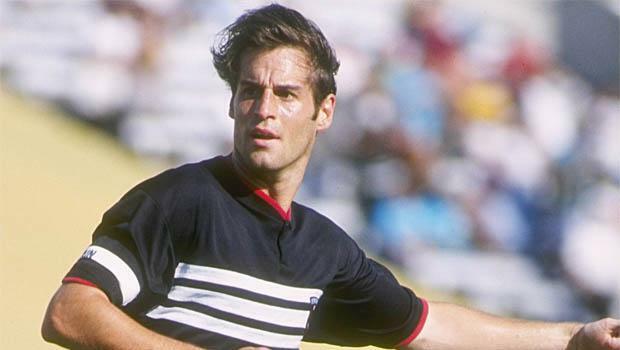 We thank John Harkes for his incredible contribution to the game and that is why is this week’s Throwback Thursday Player of the Week! 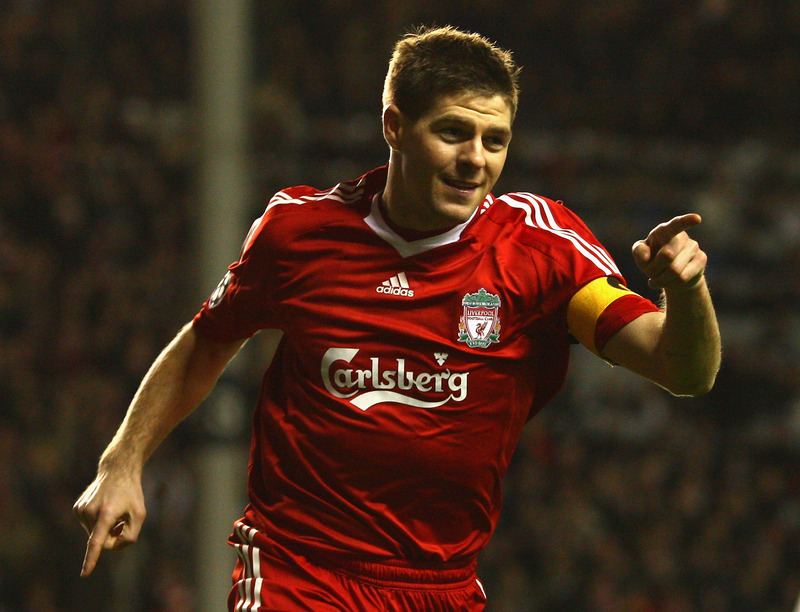 You figure a legend like Steven Gerrard would only come to USA if he was headed to one of the big markets in the MLS. Both LA Galaxy and the NY Redbulls have recently freed up a Designated Player spot. NY Redbulls are an interesting one just because Frank Lampard is supposed to come back to NYCFC (we’ll see when) and join David Villa in starting a rivalry with NYRB. Something in my brain is blinking saying, “Why wouldn’t one midfield legend want to compete with another in such close proximity that a simple half hour drive or train ride could have them grabbing a cup of tea together in a downtown cafe?” LA Galaxy have the “Donovan” spot available. This one that needs to be completed with someone of equal or greater soccer cultural relevance. This could be easily filled with the services of the Red’s legend. And so we continue, Orlando City still has a DP spot that could (should…cough….definitely be) be used for him. But we all know that will not happen. As big as the opportunity for a Floridian soccer market stranglehold that Orland City has, I don’t see it overtaking the lures of New York or Los Angeles. But, Steven Gerrard is a different type of player with loyalty and commitment not often seen during the past generation and one that will continue to dissolve into obscurity. According to this report from the MLS: Galaxy to Sign Gerrard, Gerrard is already on his way to LA. It will be strange to watch him in anything but a Liverpool kit but I am looking forward to him in the MLS, with whichever club finally captures his signature.